Encrypted Data is Secure Today. But Will it be Crackable with Quantum Computers? Not all encryption will be readily crackable with quantum computers. 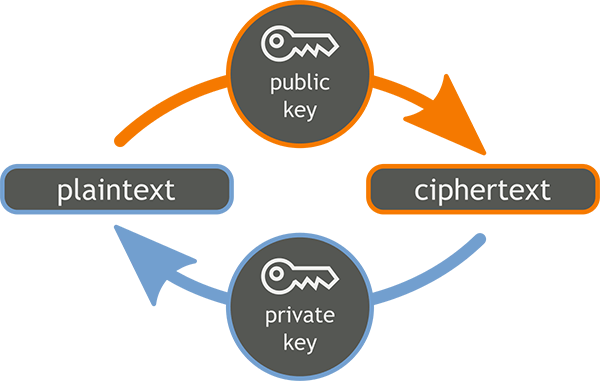 “Symmetric encryption can be decrypted using the same key that was used to encrypt it, while asymmetric encryption requires one key (the public key) to encrypt and another key (the private key) to decrypt.” But asymmetric encryption which most data is secured with, today, predominantly in communications, is a problem if quantum computers come to fruition as anticipated. mte. Extract and Graphic: The short answer is yes: encryption can be cracked. A brute force approach, which basically involves making lots and lots of guesses until one turns out to be right, would certainly find the right answer, given enough time and computing power. Given our current capabilities, brute-forcing AES-256 could take up to 3 sexdecillion (3×1051) years, and similar numbers could be attached to many widely-used encryption algorithms. In the future quantum computers and other advances could significantly decrease how secure encryption actually is, but in the meantime it’s effectively impenetrable.